Earlier this year Fiat Chrysler Automobiles in South Africa launched their all new Fiat Tipo in both sedan and hatchback variants. The new Tipo marks the Fiat’s return to the medium-compact segment and with its modern good looks and roomy interior, it should achieve a reasonable share of its segment. Locally in addition to the two body styles, there are three trim levels, three engines and three transmission types available. The sedan is available in the POP or EASY versions whilst the hatchback is available in the POP, EASY or LOUNGE configurations. The engine range comprises one diesel and two petrol derivatives with a choice of 5 or 6-speed manual gearboxes or a 6-speed automatic transmission depending on the engine. 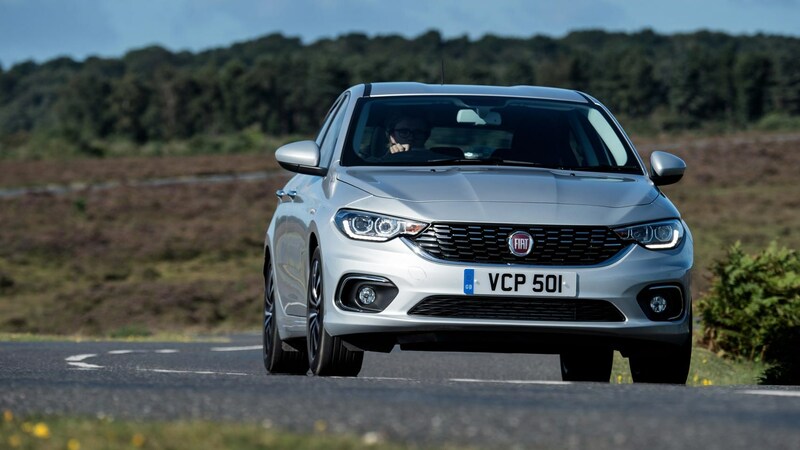 A few weeks back we featured the Fiat Tipo 1.3L Easy Sedan with the 1.3 turbo-diesel power unit however the model featured in today’s road impressions is the petrol powered Fiat Tipo 1.4L POP hatch, which is the entry level model in the hatchback range. The Tipo was designed in Italy by the Fiat Style Centre and developed in Turkey at one of Fiat’s largest research and development centres. The first thing worth noticing is that in appearance, the Tipo Hatch is a very stylish looking family car and it does draw attention from onlookers. The front end is dominated by the attractive full-width grille, narrow headlights and sculptured bonnet, while the colour coded body, front fog lamps, rear “B” Sting antenna and 16” steel wheels with full size hubcaps, which on the press vehicle were shod with 205/55R16 Continental tyres, and it has a full sized spare under the boot-board. At the rear, there is a discrete spoiler above the tailgate, a rear washer/wiper to clean the rear window, rear fog-lamps and prominent tail-lights. The Tipo will accommodate five passengers very comfortably, even tall folk, up to 1.87m in height at the front and 1.80m, in the rear travel in comfort, and combined with the new dashboard layout, ensures great visibility. The driving position is also excellent. Legroom is generous measuring 1.07 m between the edge of the front seat and the passenger’s heel and 934 mm for the rear seat. The 4-spoke multi-function steering wheel is fully adjustable and the controls for the air conditioning, radio and control panel fall nicely to hand, while a media centre for connecting devices is situated in front of the gear lever. The boot is enormous for a hatchback allowing for 440 litres of luggage space, and if that’s not sufficient, the flip-and-fold rear seat with 60/40 split can be folded down to obtain a flat and even loading surface. Two lights, two bag hooks and four load-retaining hooks positioned on the floor provide added convenience. The boot sill is low and stepless, for easy loading, even the bulkiest of packages. At the sides of the luggage compartment two panels for holding small items can be removed to further increase the width of the luggage compartment, plus there is 12 litres of space for oddments in various compartments. The Fiat Tipo 1.4L POP Hatch is powered by a 1.4 litre in-line 4-cylinder naturally aspirated Euro 4 petrol engine developing 70 kw at 6 000 rpm and 127 Nm of torque at 4500 rpm and transfers power to the front wheels through a 6-speed manual gearbox. In acceleration tests the Fiat Tipo 1.4L POP Hatch did the 0 to 100 km/h dash in 11.5 seconds after two gear changes and goes on to a top speed of 185 km/h. In terms of fuel usage, Fiat claims a petrol consumption of just 5.7 litres per 100 kms in the combined cycle, but over the week I had the car on the test the trip computer that showed that I had averaged 7.5 litres per 100 kms, which is still very good. The Fiat Tipo is an easy car to drive with all switches, buttons and levers within easy reach of the driver. For driving around town, the ride was very comfortable and the wind and tyre noise is well controlled. Under quick acceleration, the pleasant growl from the exhaust of the 1368 cc petrol engine is quite sporty, and the tone tends to change with gear-changes. The engine is quite perky and responsive, with adequate power, however for quick overtaking, or on steep hills, you have to drop a gear or two to keep it on the boil. At a steady 120 km/h on the freeway the motor turns at 3 200 rpm in 6th gear and if you’re brave enough to get to 160 km/h, which it does quite easily, it revs at 4100 rpm. On the twisty roads and sweeping corners the Fiat Tipo feels well-planted. It holds its line well, while the steering gives the driver pretty good feedback for an electric system. All in all the Fiat Tipo as tested, felt well-balanced, gave a comfortable ride and was economical on fuel. The recommended retail selling price of the Fiat Tipo 1.4L POP Hatch is R249 900 which includes a 3 year / 100 000 km warranty and service plan.